FINGAL COUNTY COUNCIL has issued a Prior Information Notice (PIN) as it begins a process of sounding out the market for tenders to build 1,000 homes. The houses and apartments would be delivered at Ballymastone in Donabate. According to the council, the homes would be ready to be developed next year following the completion of the Donabate Distributor Road. The site includes a recreational and educational hub. The council has identified over 200 acres of its land across the county for the delivery of public and private housing, which will be affordable to buy or rent, and has established a Programme Office called Project Talamh to co-ordinate this. The first step in this process will be market sounding with the private sector on the current market. That process includes a questionnaire which will ask developers about supply and demand in the area. This will be followed by a procurement process for the development of the lands at Ballymastone in Donabate. These lands have the capacity to deliver approximately 1,000 to 1,200 homes. The PIN was published yesterday, with Fingal inviting interested parties from the industry, with relevant experience in the delivery of large scale residential development projects, to participate in the Market Sounding by logging into the etenders website and completing the questionnaire. “We are strongly focused on increasing housing supply in Fingal and realise that we need to work with the private sector to ensure that we produce the right mix of housing on our lands,” said AnnMarie Farrelly, Director of Planning and Strategic Infrastructure at Fingal County Council. There are currently 127 private sites in Fingal with planning permission to deliver 17,733 houses while Fingal County Council has been set a target of delivering 1,637 social housing units in 2018 under the Rebuilding Ireland programme. Email “Fingal Council asks private developers for views on plan to deliver 1,000 homes”. 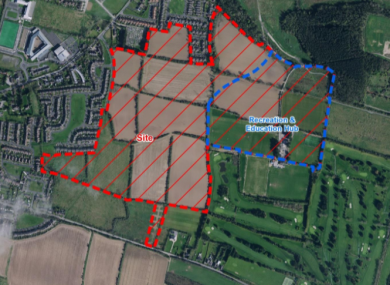 Feedback on “Fingal Council asks private developers for views on plan to deliver 1,000 homes”.